Follow these tips and you and your horse will have a blast on the trail. 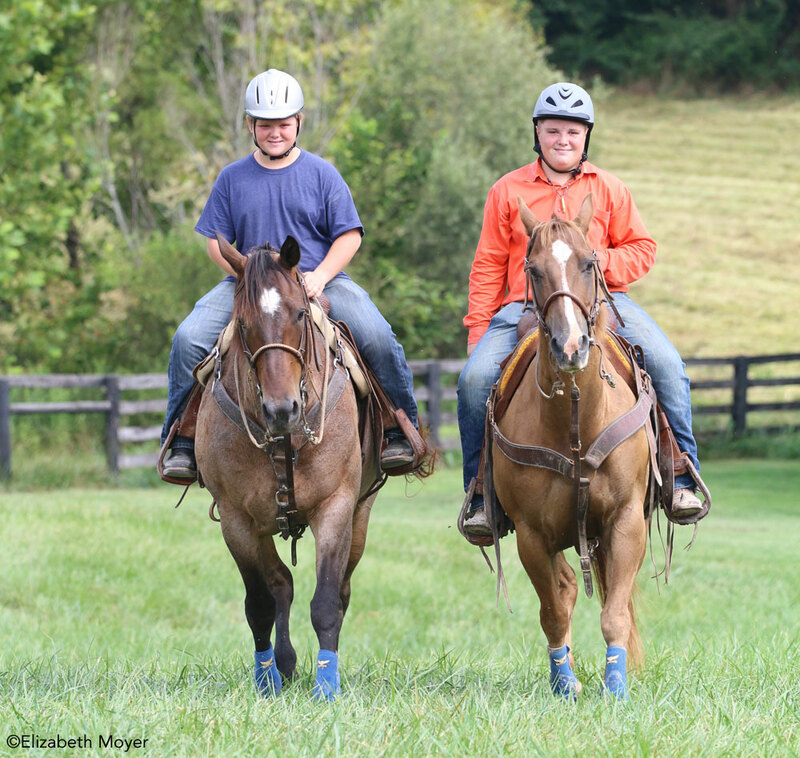 It’s great to get out of the arena and enjoy a fun, relaxing trail ride with friends. Before you hit the trail, keep the following tips in mind. Always tell someone where you are going to ride and how long you plan to be out. Take a fully charged cell phone and keep it with you, rather than in a saddlebag, in case you and your horse become separated out on the trail. Only ride on trails you or your trail partner know, and use a GPS app to track your route in case you get lost and need to backtrack. On longer rides, it’s a good idea to pack a first-aid kit in your saddlebag. Pay attention to trail conditions. Storms and rain can cause flooding, deep mud and other hazards on your favorite trails. Obey “no trespassing” signs, and be sure you have permission to ride on private property. Leave gates the way you found them (open or closed). Wear high-visibility colors so you can be easily seen, especially during hunting season or if your ride takes you along roadways near traffic. Remember to wear your helmet! Even though trail riding is fun and casual, unexpected things can happen. Lean forward going uphill to take the weight off your horse’s back so he can use his hindquarters to power himself up the hill. Grab a little mane to help hold yourself up. Use caution on slick, rocky or uneven footing. 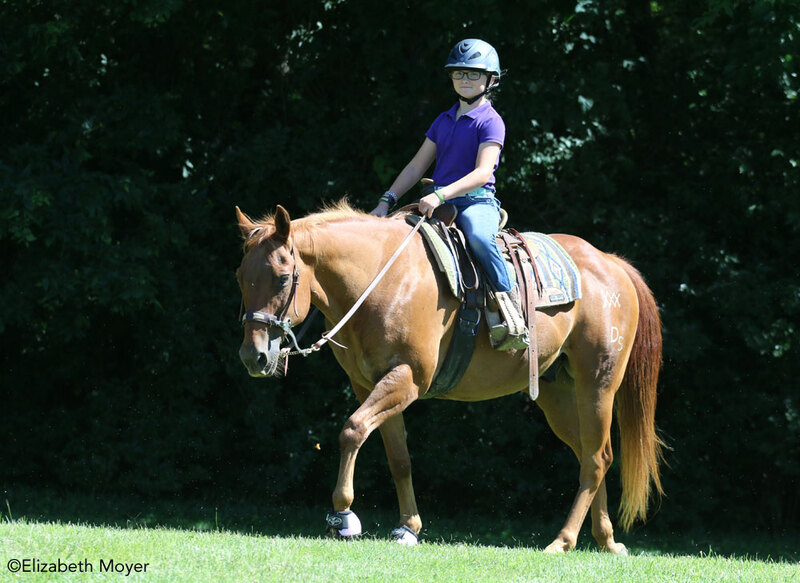 Go slowly and try to stay centered in the saddle so you don’t throw your horse off balance. Don’t overwork your horse. If you haven’t been riding much, choose a shorter, flatter trail and go at an easy pace. 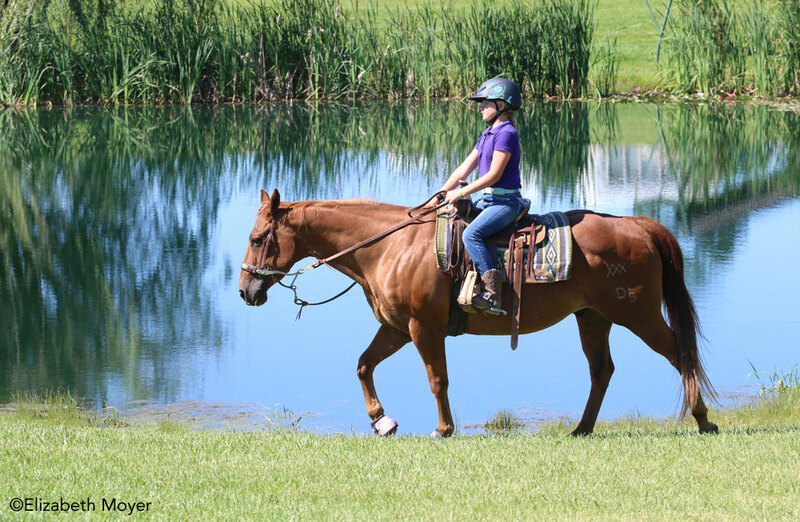 If you want to go on longer rides, build your horse’s fitness up gradually. For example, building up to a four-hour ride will take at least two months of gradually increasing ride length. Keep your tack clean and condition leather regularly. You don’t want your cinch or bridle to break out on the trail. Check your cinch after you mount and during the ride. Always walk on the way home so your horse doesn’t learn to jig and rush. If he starts picking up his pace, put him to work to refocus his attention on you. Work on circles, bending and changes of direction so that you control the speed. 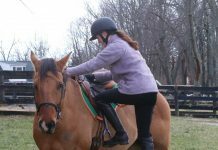 If your horse has the annoying habit of grabbing grass on a ride, correct him by pulling up strongly on just one rein. Be quick and firm—don’t get into a tug-of-war. Then send him forward. You’ll need to be consistent and correct him every time so that he knows you mean business. Keep one horse length between horses so nobody gets kicked. You should be able to see the heels of the horse in front of you through your horse’s ears. Keep the group together. Horses can panic if they think they are being left behind by the herd. Make sure everyone in the group is comfortable riding at faster speeds before trotting or cantering. If one horse is misbehaving, be on the safe side and just walk. Take good care of your horse when you get back to the barn. Cool him out and let him have his fill of water. In warm weather, hose or sponge him off. Remove dried sweat and dirt from his coat, including his face. Pick out his feet and check his legs for any cuts or scrapes. And finally, give him a pat and be sure to thank him for being your trail buddy!